New England Grown Fraser Fir trees are available starting the Friday after Thanksgiving in numerous sizes ranging from 3 to 14 feet tall. Great fragrance and excellent needle retention. 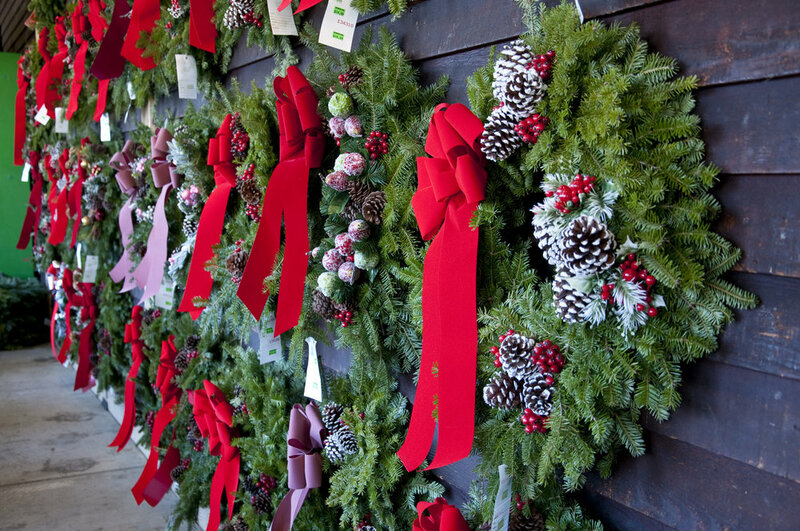 We also offer all sorts of decorations including wreaths (10" to 60"), kissing balls, garland/roping, holly and much more! The Autumn season is one of our favorite times of the year here at the farm. Along with all the bountiful homegrown produce available, our front walkway is absolutely loaded with Fall time decor. 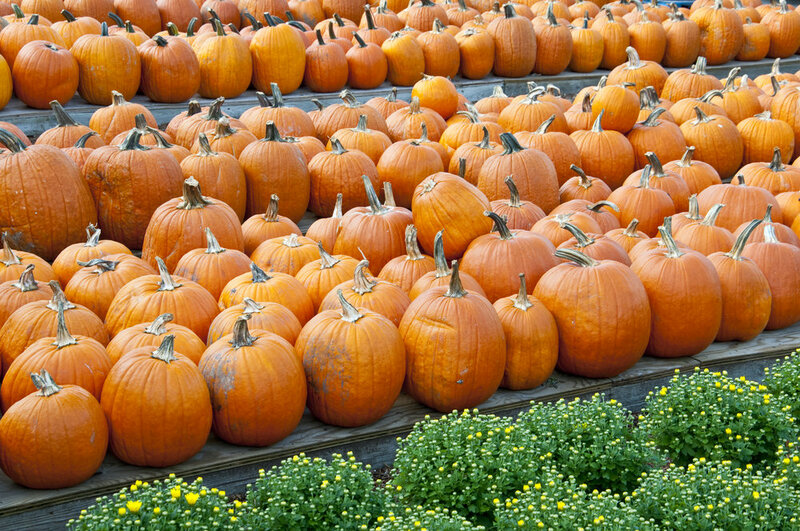 Between pumpkins and gourds galore, we also bring in tons of decorations such as Indian corn, corn stalks, hay/straw bales, mums and much more!